Category Archives: "California Child Support Attorney"
How do I enforce child support payments in California If My Spouse or Domestic Partner Is not following the court order? Child Support Enforcement Attorneys in Southern California, Collecting a Spousal/Partner Support Order in OC CA, Do I Have to Pay Child Support if I Don't Get to See My child in California, Ending the Stay on Your Wage Assignment in California, Enforcement of Child Support in Santa Ana CA, How do I enforce child support payments in OC California If My Spouse or Domestic Partner Is Not Paying?, How Does a Wage Assignment Help in OC California?, Obtaining a Wage Assignment in OC California, Paying a Spousal/Partner Support Order Orange CA, The Basics of a Child Support Order in OC California, What if I Am Still Having Trouble Collecting Child Support in California? Do I have to pay child support if I am not the biological father? In California, biological parentage does not play as big of a role in determining child support as legal parentage does. A legal parent has both the legal rights and legal obligations that come with raising a child, even if that parent is not the biological parent. Depending on your situation, a biological parent may or may not be required to pay child support for a child in California, and a nonbiological parent or guardian may also be required to pay child support, or not. Am I Required to Pay Child Support in California If I Am Not the Child’s Biological Parent?, Assumed Legal Parentage in OC California, California Child Support Attorney, Can I Stop Paying CA Child Support if I'm Not the Biological Father, Determining Parentage in OC California, Do I have to keep paying child support for child whom I'm not the biological parent?, How Guardianship Works in California, I am Not The Biological Parent Do I Still Have To Pay the California child support, If someone is not the biological father do they still pay support in CA?, Paying Child Support for a Non-biological Child in OC California, The Basics of Adoption in California, Unmarried Parents or Parents Not in a Registered Domestic Partnership in OC California, What Are the Legal Rights and Obligations of a Parent in California? In California, child support obligations usually end when a child turns 18 and graduates from high school, or turns 19. However, if your wages have been garnished in order to make your child support payments, you can usually terminate the wage garnishments as long as you are caught up on payments. 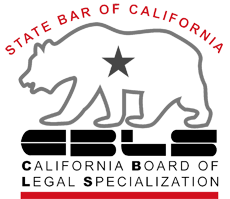 Wage garnishments are standard in all California child support cases; however, parents or the local child support agency may choose to allow payment in another way. Do child support wage garnishment automatically end in OC CA, does my child support garnishment automatically terminate in OC CA?, Falling Behind in Child Support Payments, Falling Behind in Child Support Payments in CA?, Falling Behind in Child Support Payments in California?, How do I stop a child support wage garnishment When My Child Turns 18?, How to Stop Additional Child Support Charges After Child turns 18 in CA, I currently have my wages garnished in OC CA for child support for my 18 year old, Orange County California Child Support Attorney, Wage Garnishments and Child Support in California, When Does Child Support End in California?